Heavy-duty, translucent polypropylene beakers with ribs for stacking. 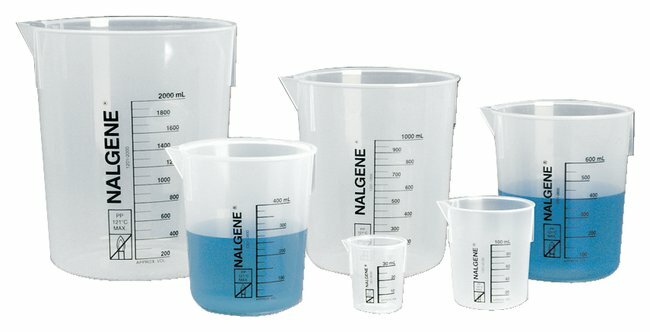 Beakers feature easy-to-read graduations with size and resin codes. Maximum use temperature and no-flame symbol printed in black. Autoclavable and chemically resistant. Not for use on a hot plate.